This beer was pretty good. 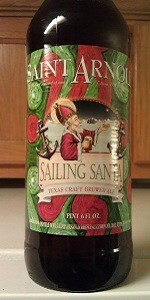 I am pretty fond of the Saint Arnold brand since the owner went to Rice University. That just happens to be the school that I went to so I am always willing to try out his beers. I am will probably have this one and other by his company soon!